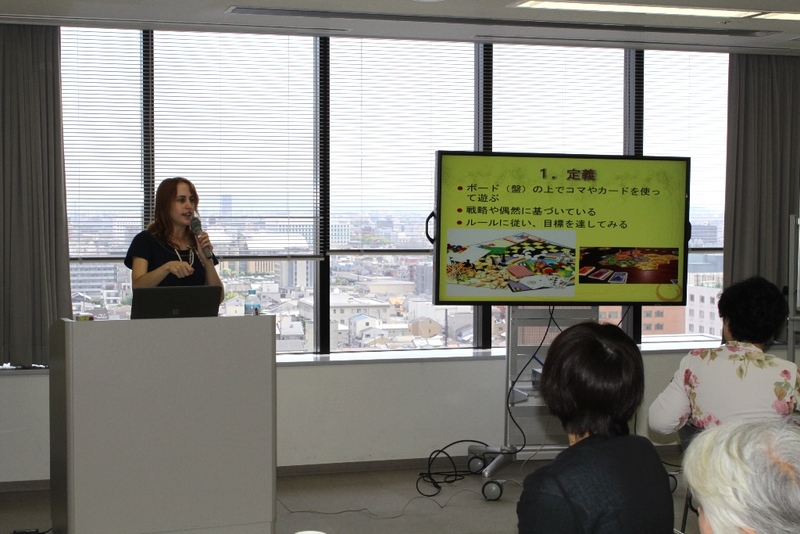 On May 24th I opened the third session of my France Salon series. 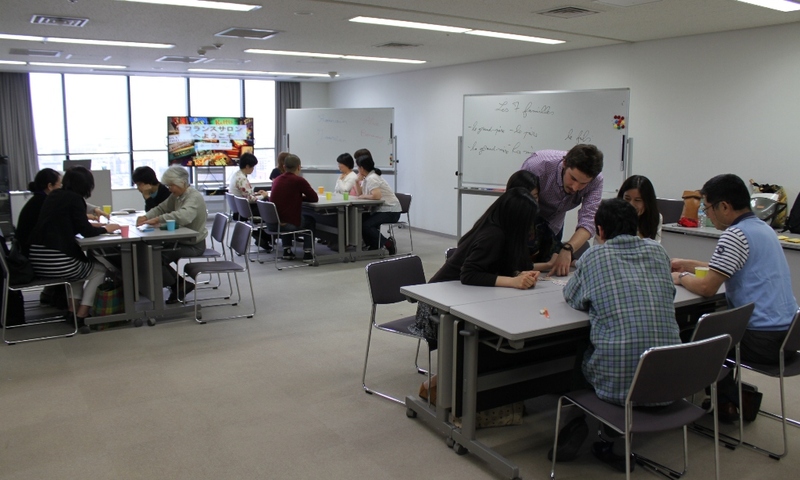 I didn’t plan a lecture and discussion this time, but instead a gaming session where people could play French board games, learn some basic French words and sentences to use in the games and interact with each other while having fun. 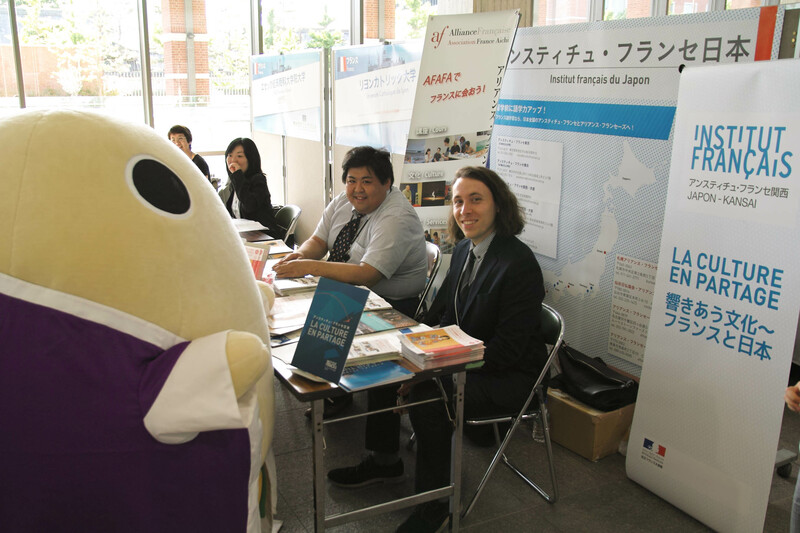 I asked a friend of mine who previously worked as a CIR in Tochigi and is now teaching in a university in Kyoto to lead the event, given his knowledge of French and Japanese game culture, on top of being a French language teacher. 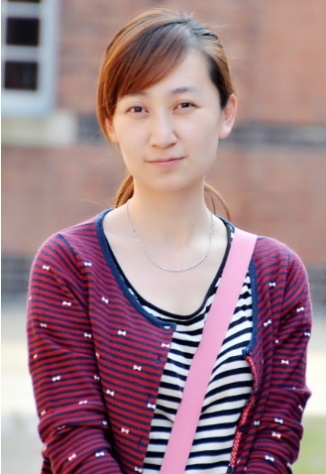 We had 16 people total in the event, coming from all different kinds of backgrounds such as elderly people who came as a group of friends, university students and working people. We divided them into 3 groups according to their French proficiency level. I was in charge of the group who could not speak French (or complete beginners) and the teacher took the other 2 groups with intermediate French speakers in charge, and we all played different games. I first introduced the culture of board games in France very shortly. Indeed, we play board games from when we are small children until the day we die! The English language uses the term “board games” but we have a wider term for them, “jeux de societe” meaning “societal games” because they bring whole families, friends and acquaintances together in a fun game. Therefore, we don’t only enjoy board games (with a so-called board) but also card games, role-playing games, strategy games etc. Even with the economic crisis going on, the societal games industry in France is still thriving. Why? Because at times where money is hard to come around, the focus tends to switch from going out and traveling, back to the family and having fun while staying home. And what better than good board game parties with everybody? 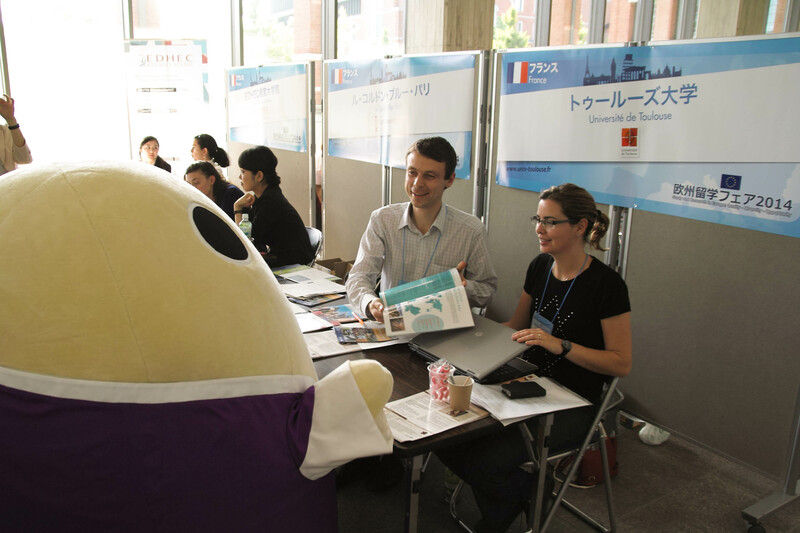 The first 2 groups of French speakers started with “le jeu des 7 familles” or “the 7 families’ game”. You have to collect the cards of a whole family (mother, father, son, daughter and grandparents) by asking people if they have them. The one who completed the most families in the end wins. Participants learned family names and how to ask for something in French with this game. They then did a game of Dixit, where one has to describe a picture card and the others have to guess which card it was originally when confronted with a choice of cards later. My group couldn’t speak French at all so we started easy with a game of Ouga Bouga. 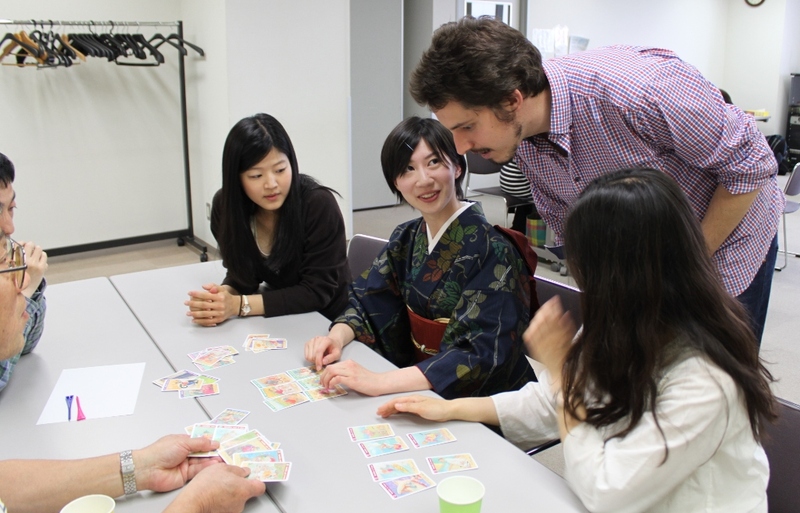 It’s a memory game where people have to say the sound written on the cards as they are shown, and remember the correct order as the game continues. The cards use some sounds in the French language which do not exist in Japanese such as “arrr” or “glou” for example so it was a nice warming up game. 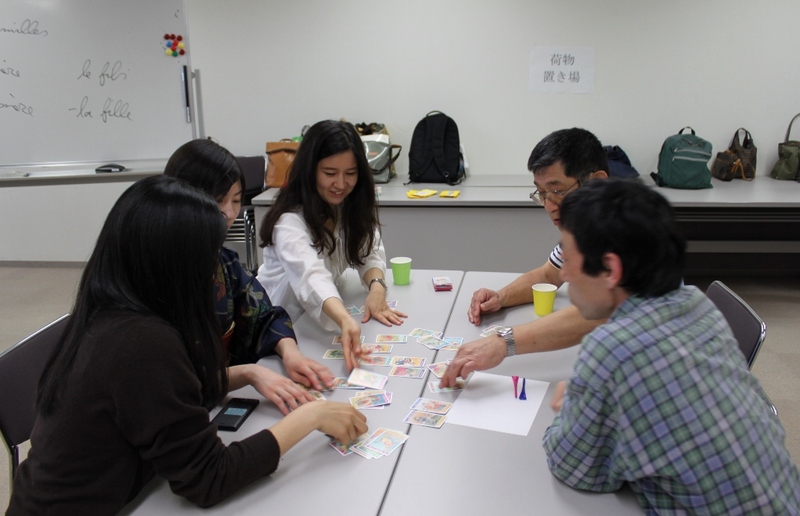 Our second game was the Shrimp Game, where you have to find the similarities between 3 cards with shrimps of various sizes, nationalities, color or number. Once you find the similarity, you have to hit the mayonnaise pot and announce it, so my group learned how to say some numbers, colors and sizes in French. I was very proud of them because their accent got better and better and they could say the words and the sentences fluently by the end. It was a very fun day and very rewarding to see everybody having fun and slowly mastering some parts of the French language. 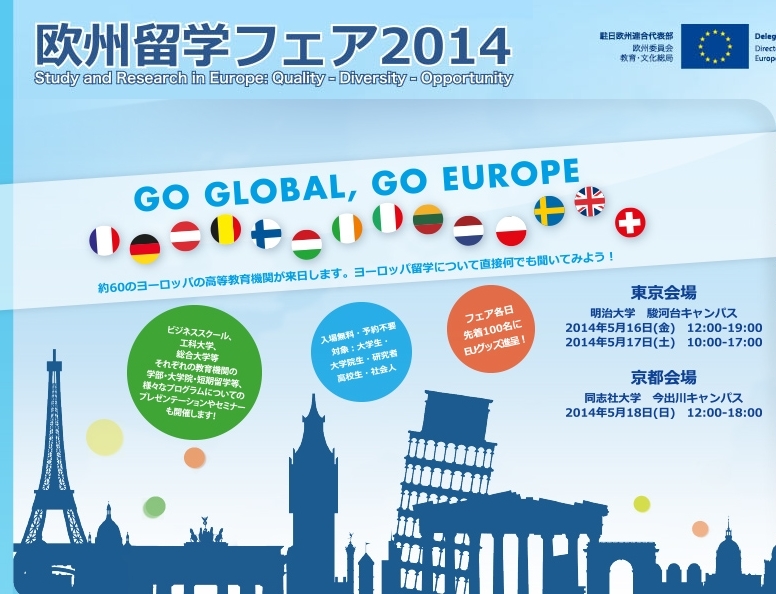 See you later for the next France Salon! 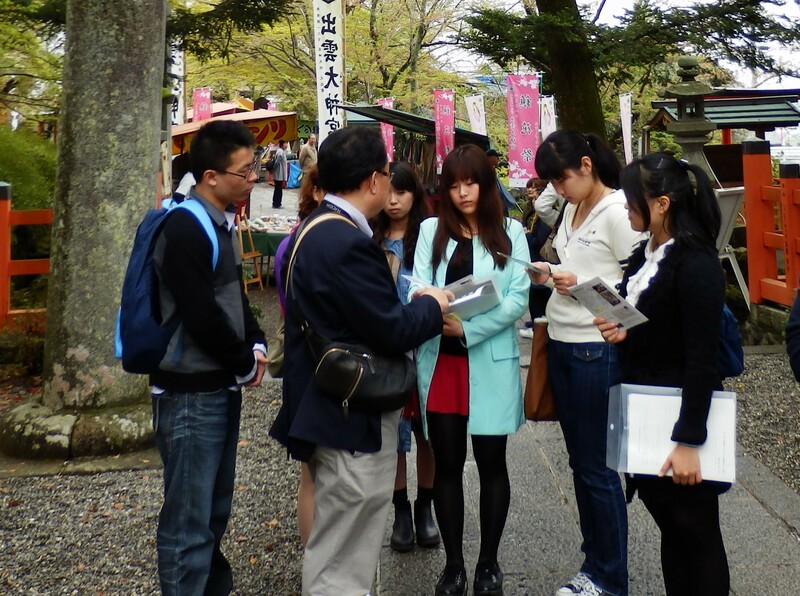 On April the Hanashizume Festival was held as Izumo Jingu Shrine. 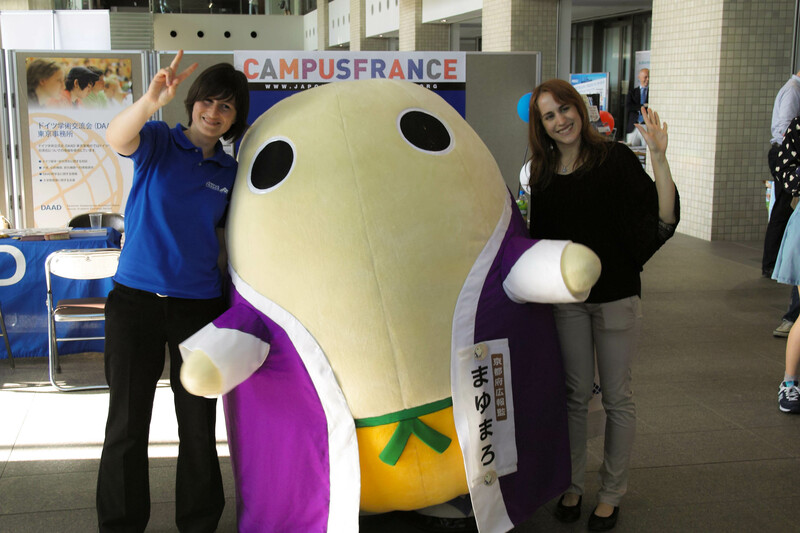 As part of the Festival Exchange Program organised by the Kameoka International Exchange Association exchange students from universities in Kyoto came to participate in the festival. The festival is to pray for the plague to go away and stop from spreading. From ancient times, it was said that the plague will start spreading once the flowers start to die. This festival is for stopping the spreading of the plague. 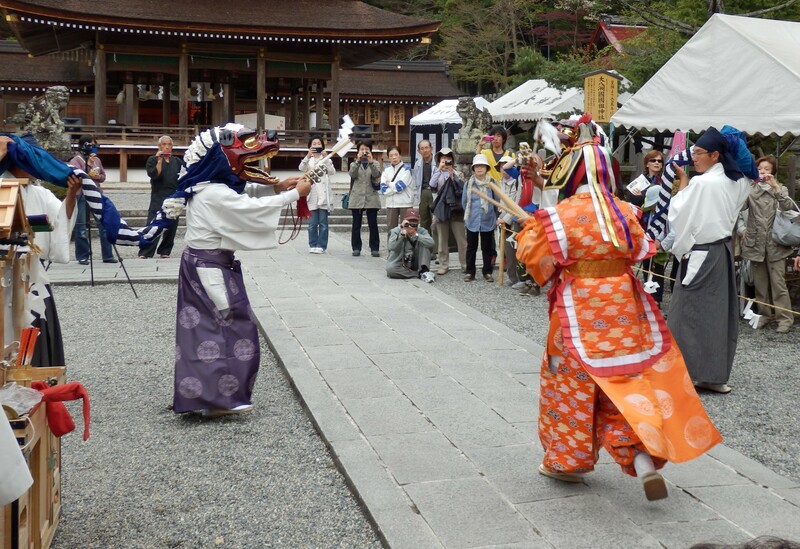 We were able to see the Izumofuryu Flower Dance and enjoy the atmosphere of the festival. 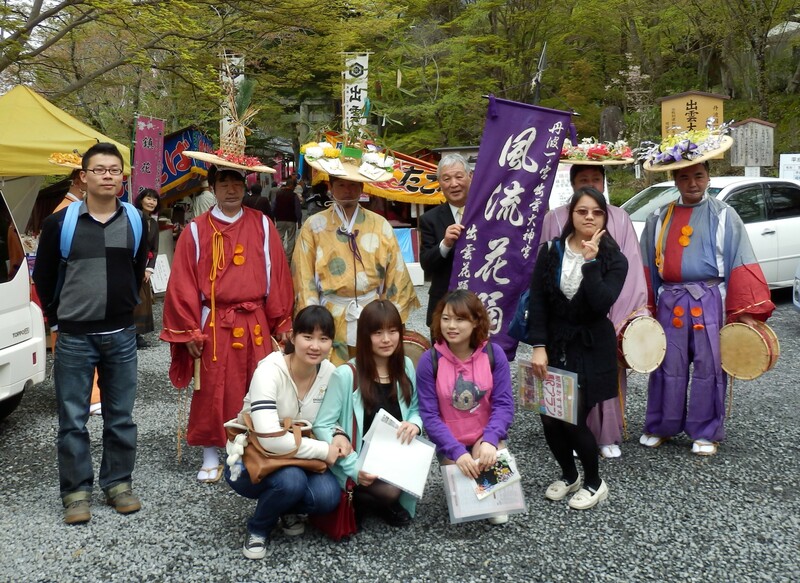 We are happy to welcome the new CIR of Maizuru to this blog and Kyoto Prefecture!